> look like what you intended? Did you see any big problem with the current one? 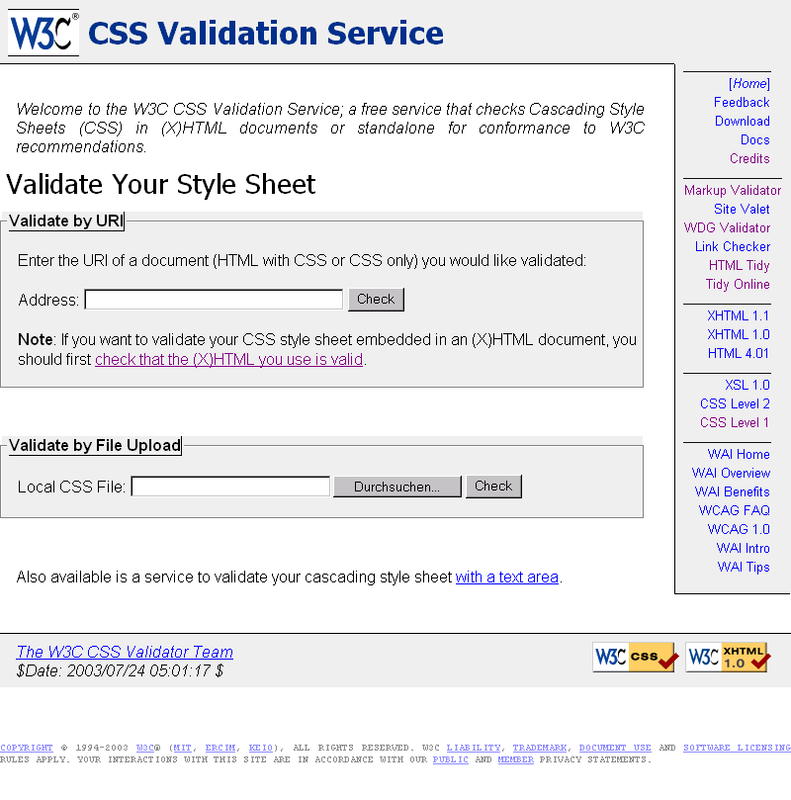 Next message: Sijtsche Smeman: "Re: CSS validator homepage - "submission""
Previous message: Bjoern Hoehrmann: "Re: CSS validator homepage - "submission""
In reply to: Bjoern Hoehrmann: "Re: CSS validator homepage - "submission""
Next in thread: Sijtsche Smeman: "Re: CSS validator homepage - "submission""
Reply: Sijtsche Smeman: "Re: CSS validator homepage - "submission""